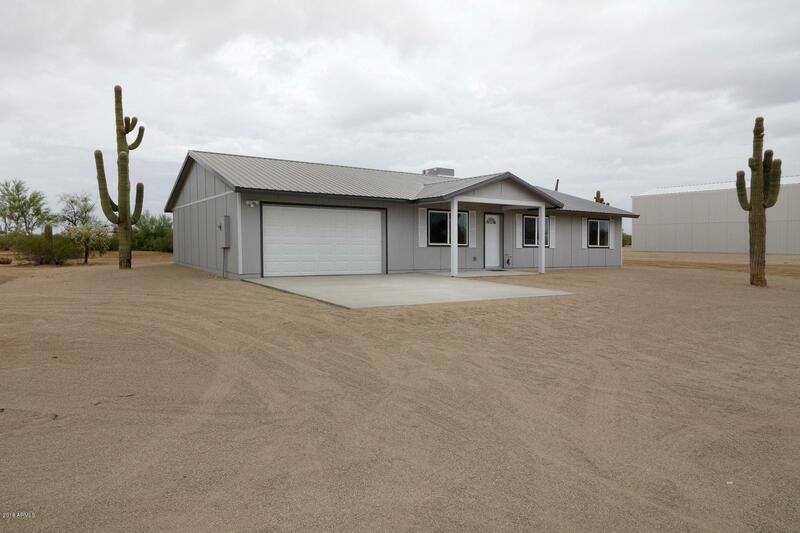 New Home on Peaceful 1.25 Acre Lot!This home is designed to last, and be easy to maintain. Great room floor plan with a nice open feel. The kitchen has beautiful staggered cabinets with crown molding, an extra large sink, granite look counters, stainless steel appliances and a great view out back. Inside laundry/storage room. The master bedroom has a huge walk-in closet, sliding barn door, and a gorgeous travertine shower. Lifetime metal roof, (double the cost of shingles), metal wrapped fascia, covered patio, 2 car garage, and a covered front porch. Energy saving home with tankless hot water, high efficiency A/C, and LED lighting throughout. Finished concrete floors. Just south of Florence nestled in one of the most beautiful desert areas Arizona has to offer.